If you’re a parent you know that when it comes to sleepovers, you’ve gotta’ do everything in your power to make them go smoothly. While I used to believe the biggest problem with sleepovers is that you’re responsible for other people’s children so you can’t drown out the kid crazy with tequila; I now know there’s a bigger problem: Freaking food issues. Having recently had a playdate where the mom just asked that we not feed her child at all, and being a celiac type, I get it. Of course I get it. The fact that I understand the severity of food allergies and sensitivities does not make it easier to prepare food for a mixed group of hormonal tweens. No, I’m not over the massive birthday party sleepover from 1.5 years ago, why do you ask? 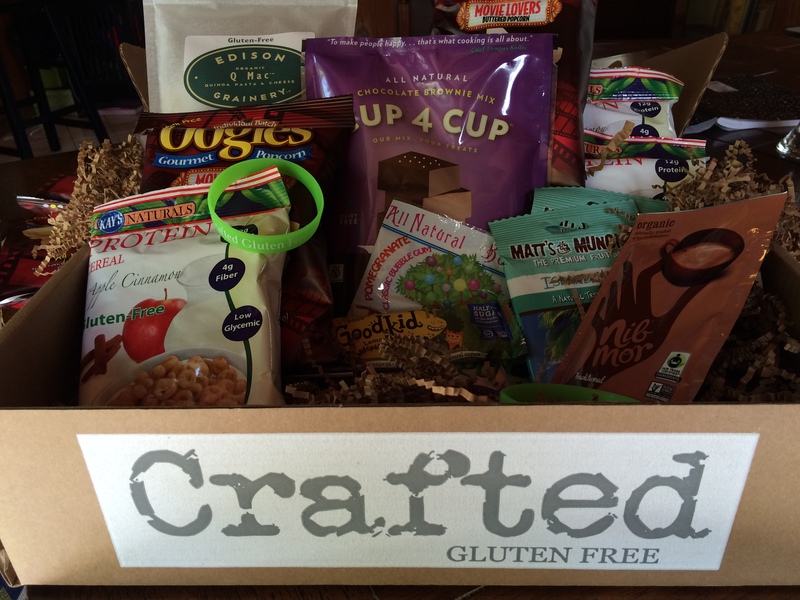 But making it easier is the subscription box company, Crafted, who just introduced their new kid’s overnight party box. Yes, of course that’s it up there! 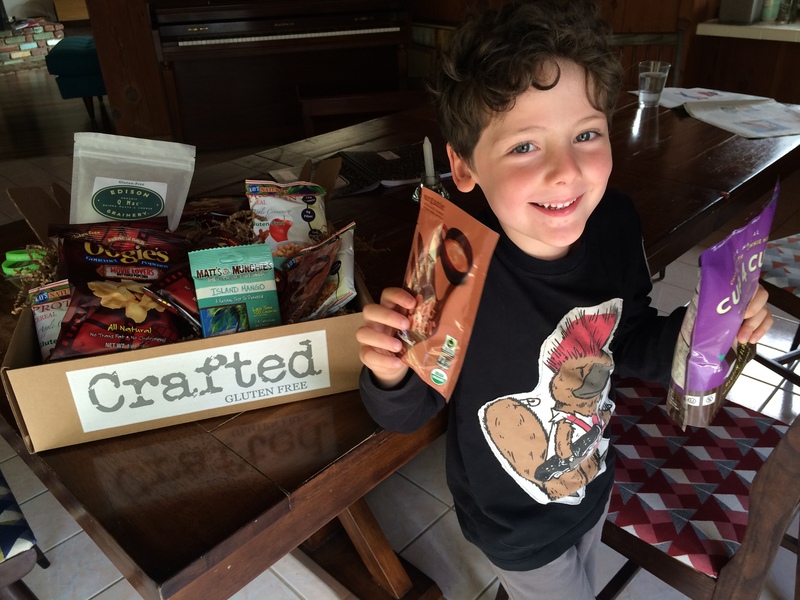 I’ve talked about Crafted before because they focus on gluten-free and I do love the gluten-free snacks. And they’re fantastic about picking out amazing products in their subscription (or one-off) boxes. The thing I love about this latest sleepover box is the multiple allergy-friendly options they include. You’ve got your Island Mango fruit roll that covers all 8 allergens, movie style popcorn, super fun rubber bracelets for kids, one of the most delicious brownie mixes in the universe and much, much, much more. Bonus idea: Have the kids make the brownies for an activity when things start to get draggy and/or cranky. Take a moment to nap. The ladies at Crafted dropped this off at my house last week and my kiddos went nuts (that’s my boy begging for both brownies AND hot chocolate). I loved it as much as my little ones did, but not enough to invite the neighborhood kids over for the night. I’ll get there again. I will. Try getting these snacks all up in your party the next time you decide to invite suffering (and joy, oh yes, KIDS ARE JOY) into your home. Tags: dairy-free, egg-free, fish-free, food allergies, gluten free, nut-free, peanut-free, shellfish-free, soy-free, vegan. Bookmark the permalink.